There will be times when you would mistakenly pick the wrong App to use as default App, for performing certain actions like playing videos, music, camera, viewing photos or opening some other kinds of documents like PDFs, this also happen often when we want to open a new type of file on our Android devices, if you choose that wrong app or you would like to change the default app you use to open a file or document on your Android then this post contains a comprehensive complete guide that will show you how to do it. With this App alone, you've solved the problem. This small third party app makes changing of default app very easy. It does a great job of displaying and changing defaults for the vast majority of common file types. The app is available on Playstore, DOWNLOAD IT HERE. When you get a new file or App that performs a certain action, you have options to launch the app that will handle it. JUST ONCE and ALWAYS. JUST ONCE - Will always request if you would like to use that app (or various apps listed) that will handle that action or open the file. ALWAYS - Will make whatever app you choose as default (permanent) app that will always handle the request or open the file. 3. Then choose the “All Apps” tab near the top to view all list of apps. 4. Scroll down and find the App your Android is using as Default to handle the request, in this case, we have Instagram handling Instagram links. If it's set as Default, Choose "CLEAR DEFAULTS"
If not set as default, you'll see "No defaults set" from this option you can create Supported and related links you will like the App to handle. 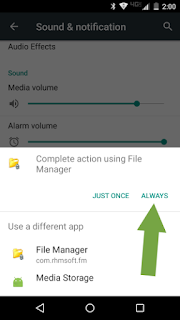 If the above steps seems not to still help give you option to re-choose a default app to handle a request on your Android, then this one last option should reset everything for you. 3. Tap on "Reset App preferences"
4. 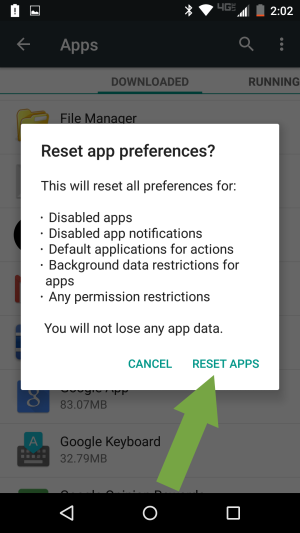 A Warning will show up, just go on and tap "Reset Apps"
The aim of this explanation so far is to help you choose the right apps, it doesn't matter if you had initially picked the Wrong ones to handle your requests or open your links and files. 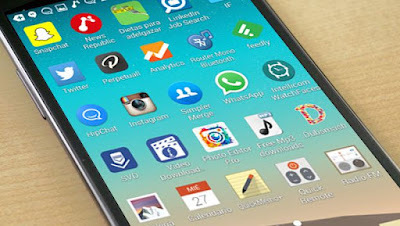 You'll surely have a smooth and intuitive experience performing several tasks when you are using the right default apps on your Android.